In Melody Dots 21 (2015) various art forms come together. It is a sculpture, consisting of a semicircular screen and a mobile of multicolored discs, which forms the kinetic part of the work, as they move in the wind. In the words of the artists, this is a sculpture of pure light. The Berlin-based artist Yoko Seyama has a background in architecture and the arts. Seyama’s scenographic and multidisciplinary works are spatially oriented and have a time-based character. 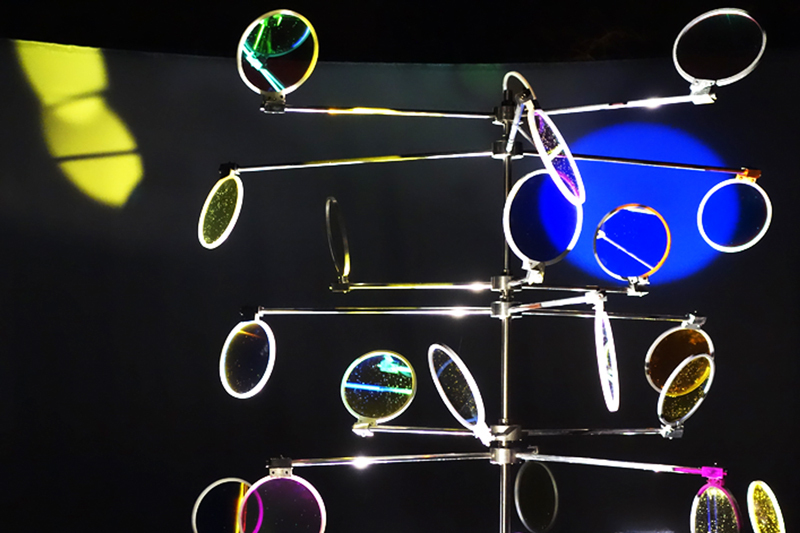 In her kinetic sculptures, Seyama combines digital elements and natural materials, including light. For Amsterdam Light Festival, she worked with German composer Dirk Haubrich.